South Australia’s real estate industry celebrated its high achievers at the Real Estate Institute of South Australia Awards for Excellence in Real Estate. 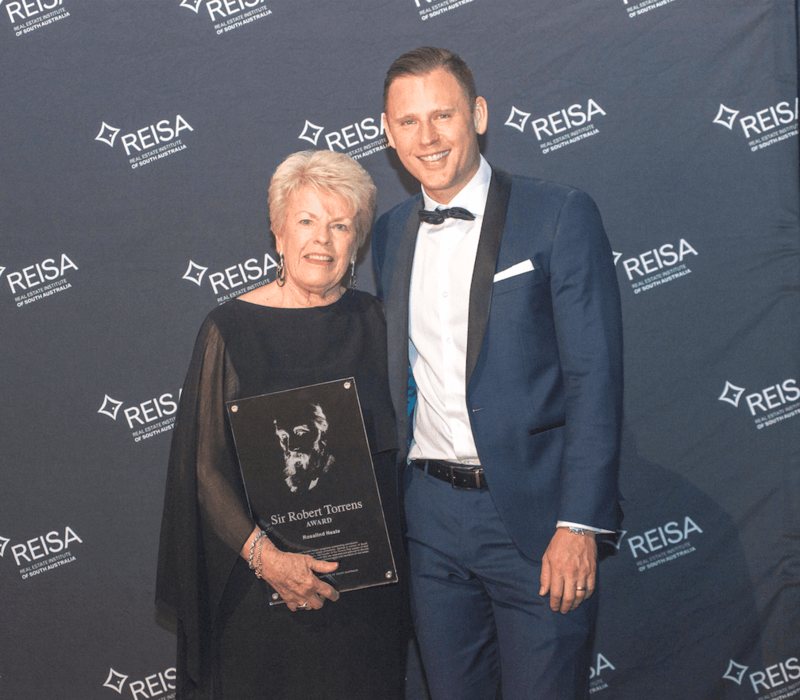 REISA CEO, Greg Troughton, said the Awards are the pinnacle of real estate achievement in South Australia and highlight the passion and dedication that the real estate profession shows to its clients and consumers. “The Awards honour and celebrate everything that is good in the real estate profession. Recognition of the excellence and achievement in serving the community and the profession are hallmarks of the awards and it is fantastic that they also reinforce to the public that we are serious about getting it right and offering the best service possible,” Mr Troughton said. Ms Rosalind Neale was awarded the Sir Robert Torrens Award to recognise commitment and service to the profession (photo below).